Complete your wedding day look with the perfect accessories. Visit us in store to shop for earrings, necklaces, bracelets, head pieces, veils, belts and capes. If you don’t find exactly what you are looking for, work with one of our jewelry designers to create a custom piece! 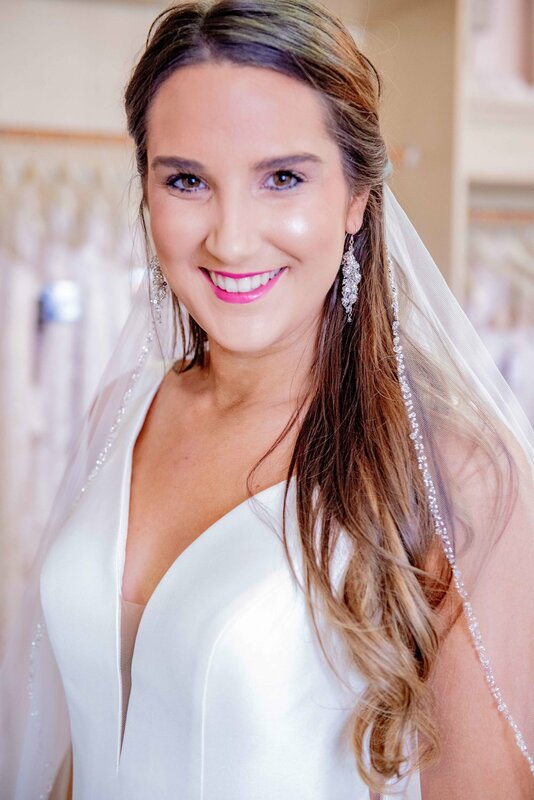 Wow them with a gorgeous veil to complete your bridal ensemble! We offer veils in all different lengths, trims, tiers, combs. 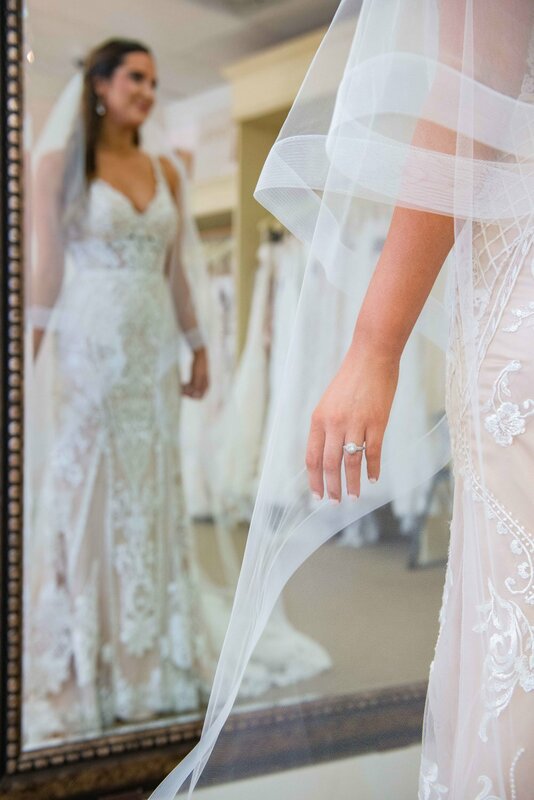 If you don’t see exactly what you are looking for, we can help you design a custom veil!